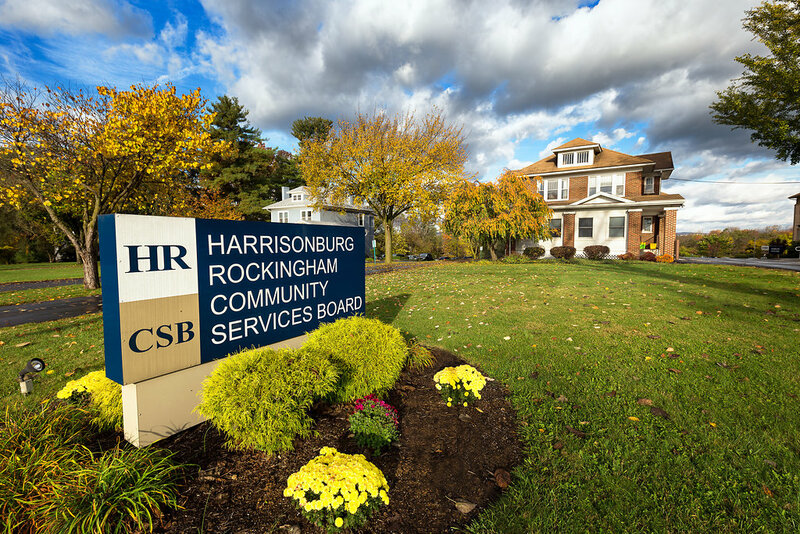 The Harrisonburg-Rockingham County Chapter 10 Board was established through formal action of the Harrisonburg City Council and the Rockingham County Board of Supervisors. The name came from the 1968 enabling legislation contained in Chapter 10 (Title 37.1) of the Code of Virginia. State funding began to flow through the Board to support Pleasant View Homes, the Community Counseling Center, Listening Ear Hotline, Friendship Industries, and Rivendale Home for Boys. As programs, funding, and responsibilities expanded, the Board hired Elizabeth (Betsy) P. Knighton as the first full time Executive Director. Massanutten Mental Health Center and the Board’s administrative office both moved into quarters at 1241 North Main Street. The Board established the position of Mental Retardation Coordinator designed to provide leadership to community mental retardation services. Parent and Child Education (PACE) was born, occupying offices at 1056 South Main Street. The Board assumed operations of the Pear Street Center, a non-profit organization providing substance abuse outpatient and halfway house services. The control of the Rockingham-Harrisonburg Halfway House Corporation was transferred by action of the Pear Street board. Later in 1981, the Client Services Coordination Program was begun as the first step by the Board toward a strong case management services system. The Board began operating a 24-hour emergency services response program. Summit House was founded and began operations at 477 East Market Street. Substance abuse prevention services were funded and began providing programs in City schools. New residential services for mentally ill adults were implemented with the acquisition of an apartment building on Rockingham Drive. Also, the Board initiated a major reorganization into two service divisions: Support Services and Outpatient Services. The Halfway House program at Pear Street was closed due to insufficient demand by local residents in the Harrisonburg/Rockingham area. The ASAP (Alcohol Safety Action Program) contract was discontinued and Substance Abuse Services began a new focus on community treatment, having previously served clients facing DUI charges almost exclusively. Significant growth in services occurred due to new grant funding for the Family Preservation Project, Part H funds for infants and toddlers, and the statewide Initiative Funding (“Make Waves Virginia”). Altogether these added 17 positions to the agency. C. Joseph (Joe) Sharrer was named the third Executive Director by the Board. The Board co-located services at 1241 North Main Street through a major building project. All programs were moved from Pear Street and South Main Street. Later, the Listening Ear hotline was discontinued due to declining utilization. In October, the Medicaid SPO initiative shifted CSB funding towards “fee for service” and the Intensive Outpatient Program (IOP) for substance abusers was initiated. Mental Health Services and Substance Abuse Services grew from outpatient services. Medicaid waiver services were initiated for clients with mental retardation. In mental retardation services, the Board emphasized purchasing services for individual clients. Additional residential capacity was added with the purchase of an apartment building on Harmony Drive. Community Living Assistants began providing one-to-one community support and intervention, while new, “wrap around” services offered an alternative to expensive institutional services. The Summit House program relocated to its new home on Pear Street. Local residential services were instituted for three long-term Western State Hospital residents at the new Market Street House. Medicaid Waiver funding for clients with mental retardation topped $1 million. A new Medicaid program of Intensive Community Treatment was implemented, providing a field-based team of comprehensive supports for individuals with serious mental illness at risk of hospitalization. The Board and MR vendors undertook a major project of converting purchased services to the Medicaid Waiver program. Due to major changes in Medicaid regulations, the Intensive Community treatment program (ICT) was redirected as Community Assistance and Support Team (CAST) providing MH Support Services. Due to generous support from the City and County, a new building was planned to house CSB children’s services. The center on Washington Street was named for Judge Charles McNulty, a local leader and children’s advocate. New housing subsidies and VHDA rent subsidy vouchers significantly improved community housing for individuals and families. Hospital (Discharge Assistance Project). Medicaid Waiver services for clients with mental retardation topped $3 million. Charlotte V. McNulty was named the fourth Executive Director by the Board. The introduction of Medicaid managed care (Medallion II) brought new challenges to outpatient services. After a difficult economic year in Virginia, state budget reductions forced cutbacks in CSB personnel and services, but core programs were preserved. The state’s Reinvestment Plan transferred additional funding and clients from Western State Hospital to the community. Family Preservation services were discontinued due to the influx of private providers in the area market. However, with significant local funding support, case management and therapy services for children were bolstered. The state awarded the CSB 23 (twenty-three) new Medicaid Waiver slots for clients with mental retardation, bringing the total number to 133. The process began to sell Juniper Apartments; in recent years the CSB’s role had essentially become one of landlord. Substance Abuse Prevention Services were reduced in County schools. New state Transformation Funding created an Outreach Team, offering enhanced crisis options and in-home supports for mental health consumers. The Board adopted a new mission statement framed by Recovery Principles. The CSB celebrated 35 years of community services. A new Residential Services model was designed to support a continuum of transitional housing options and offer consumers more choices. The Dayton Group Home closed, and residential staff began providing flexible supports to consumers living independently in the community. The CSB implemented all changes required by Mental Health Law Reform legislation, realigned CSB case management services with impending Medicaid regulatory changes, and began operation of new supervised apartments at Park Road location. Lacy T. Whitmore, Jr. was named the fifth Executive Director by the Board. Statewide Mental Retardation services evolved to Intellectual Disability services. State economic conditions required a second 5% cut in state funds in as many years. Funding and responsibility for state pharmacy operations were transferred to the CSB, allowing CSB Mobile Meds services to be staffed by pharmacy technicians. Arbor House, a new 7-bed Crisis Stabilization program, began operation at the North Main Street campus. The CSB implemented its first Electronic Health Record and began preparing for national healthcare reform. CSB medical services were modestly expanded and practice management support was added. The Commonwealth, in a settlement agreement with the U. S. Department of Justice, undertook major initiatives to improve services for individuals with developmental disabilities. In response, the CSB consolidated youth and adult ID case management services and added staff capacity under a newly created Director of Developmental Services. A new model was piloted to provide “same day access” for local residents seeking mental health or substance abuse treatment services. Intakes (i.e., first appointments) are now available on a “walk in” basis; there is prioritized access to psychiatric/medical services; and the CSB has increased capacity for individual therapy appointments. In partnership with local governments, an 18-month pilot project will enhance CSB mental health services for inmates at the Rockingham Harrisonburg Regional Jail.